Your elected BMC / MCGM Corporator has to suggest projects for local area improvement in your area by 31st January so that funds for these are sanctioned in this financial year. 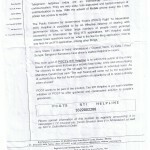 (Each corporator has Rs.1.4 crore at his / her disposal for such projects.) If you would like to suggest projects for your local area (such as a library, streamlining hawkers area, medical service centre, beautifying areas under flyovers, jogging track, benches, dustbins, street lighting, proper signage, children’s play equipment, night school, community centre, etc. 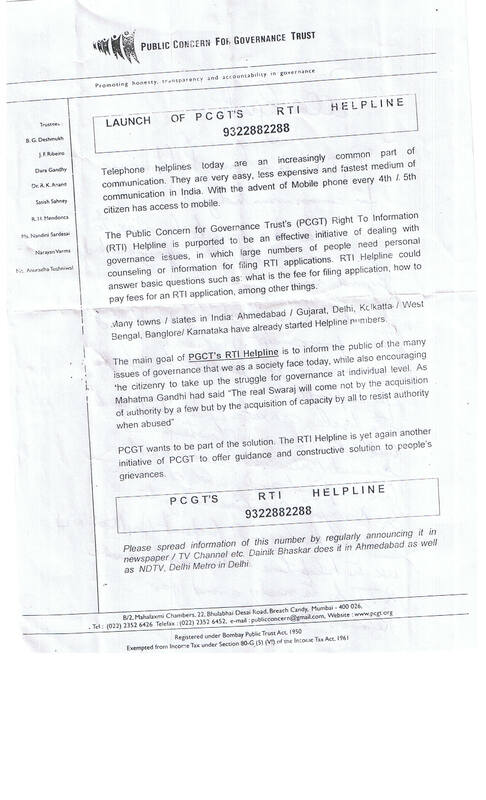 ), contact your local Corporator. 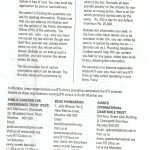 Contact details of 227 Municipal Councillors are at MCGM or Karmayog . 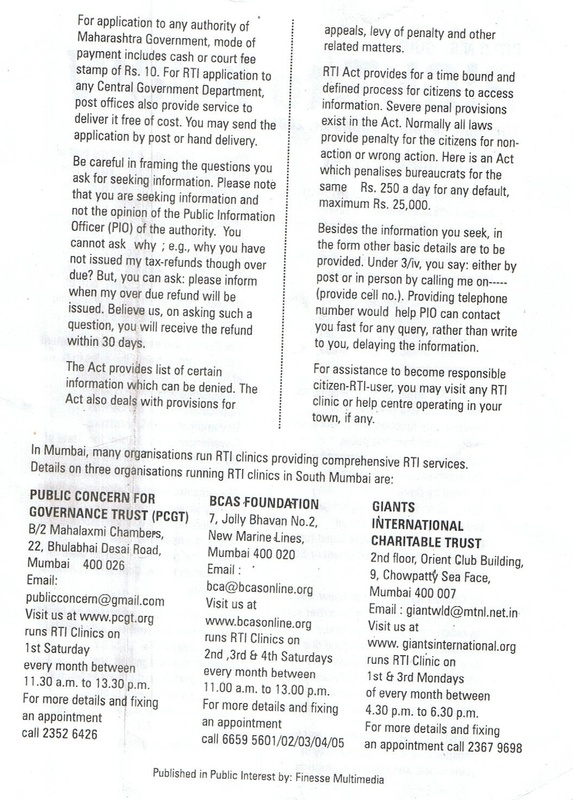 If you want to know where money has already been spent, sanctioned, or proposed, you can use the RTI helpline 9322882288. 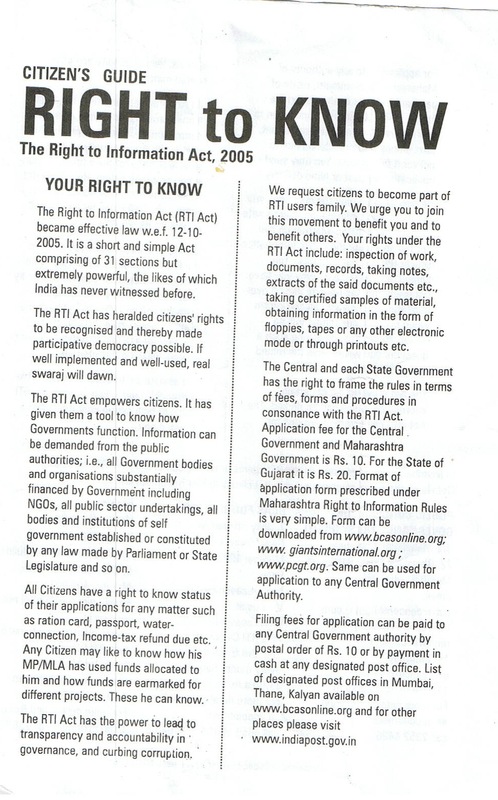 ” “Right to Know”. 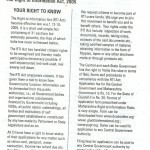 With that it is attached form ‘A’ – RTI application form.